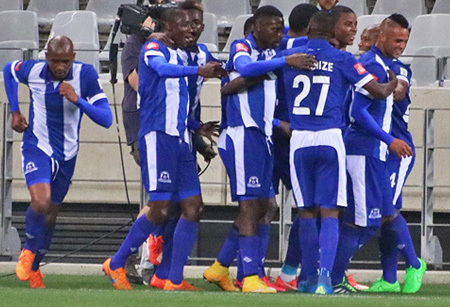 Maritzburg United are out to put an end to a run of five defeats in their last six matches against Bidvest Wits when the sides meet in Johannesburg on Wednesday night (19h30). The Team of Choice go into the match with just one point from two Absa Premiership matches after drawing 0-0 with Jomo Cosmos and losing 3-1 away to Ajax Cape Town. Bidvest Wits beat Ajax 2-1 at home before losing 4-2 to Mamelodi Sundowns, leaving them in ninth position, while Maritzburg are in 14th. The Team of Choice have clashed with the Clever Boys on 16 previous occasions in the league, United winning three times, Wits seven, with six draws. Two of Maritzburg’s three wins came in Johannesburg. Five of the last six matches between the two sides have been won by the Gauteng club. Last season saw Gavin Hunt’s side beating the PMB outfit twice – 1-0 at home, and 2-1 at the Harry Gwala Stadium.